For many Jacksonville residents, the garage is far more than a spot to park the car — it’s become more of a catchall for every outdoor item the family owns. Floridians spend a ton of time outside, so they often have to store their surfboards and windsurfers in addition to the normal gardening and lawn supplies you’ll find elsewhere. If the accumulation of stuff is threatening to leave no room for your car, you can fix the problem by building a garage addition. It’s generally easier to add on than it is to build a new storage building. 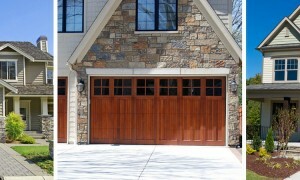 What’s more, adding space to the garage takes advantage of the security system you already have built on the structure. Much like a bump-out adds extra living space to an RV, a bump-out addition to your garage will add a surprising amount of much-needed storage space. The roof isn’t as high as the original building, so you don’t have to deal with an extremely large project, but you can create enough room to house a tool shop, storage for all your sports equipment, or even workspace for crafts or woodworking. Most bump-out plans call for a wood foundation and simple rectangular design, and you can find kits at building supply companies that have all the materials and instructions in one place. If you can build a deck and install drywall, you can build a bump-out addition to help with your storage needs. Often, the items that fill up a garage’s space aren’t large, but rather a huge collection of smaller items. Each individual piece doesn’t take up much space; it’s the accumulation that gets to you. Adding a storage platform all around the garage interior provides enough storage space to clean up almost any mess, while never using up a bit of floor space. Create shelves that are two feet deep and hang them three feet below the ceiling. Make a ring of these shelves around the inside walls, then store a series of plastic bins to organize all the smaller items you need to store. 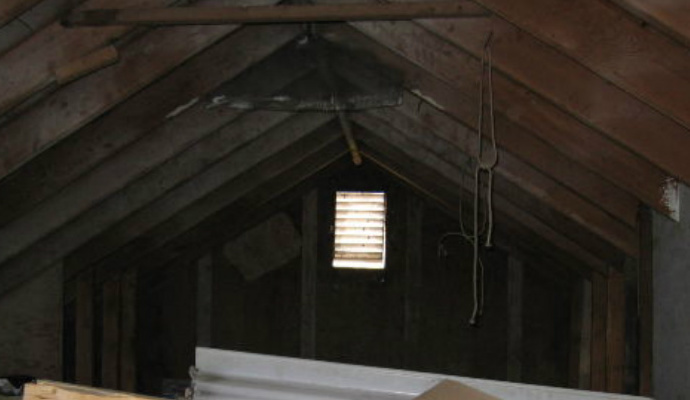 For the ultimate garage addition for storage space, consider a loft for your garage. Definitely not a DIY project, adding a loft adds an entire second story. You can use this space for massive amounts of storage or even transform it into living space or an office. 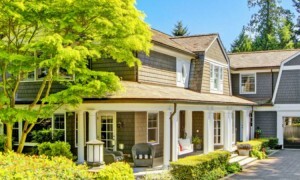 Adding actual living space will require more insulation, wiring, and connecting into a house HVAC unit, while using it for simple storage space is a much simpler proposition: It only needs the same sun protection the rest of the garage enjoys. Adding a loft space is a practical and attractive way to add a lot more storage space and corral even the largest collection of tools, toys, and equipment.